The Golden Bamboo is America’s more popular bamboo and for a good reason. This is one of the hardiest bamboos, totally hardy all the way to zero degrees. It also thrives in urban conditions, with poor soil being just fine for it. Making a dense screen in no time at all, the Golden Bamboo will charm you with its sturdy yellow stems and rich-green leaves making a solid barrier and blocking noise, polluted air and prying eyes. 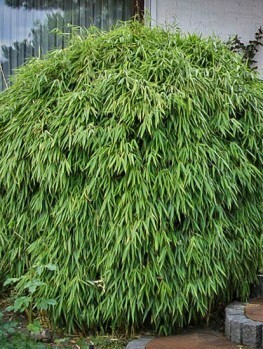 This plant quickly reaches 20 feet in regions where other bamboos would just die, yet it is beautiful and exotic, with slender but strong yellow stems densely covered in evergreen leaves that block out everything. The Golden Bamboo is a large privacy screen or ornamental plant that matches easy growth, functional use, and beauty to create a trio of garden strengths. Privacy screens, which require both fast and dense growth of a shrub or tree, can be used to block out prying eyes or unwelcome sights. The Golden Bamboo is the perfect choice for lining driveways or backyard perimeters. This functional plant is often planted to line driveways or yards, since its height and growth rate enable it to quickly reach a manageable height. As an accent plant or ornamental, the Golden Bamboo is unparalleled. Warm golden glow emanates from beneath the weeping canopy of the Bamboo plant, since the canes are honey-colored. These limbs capture the sunlight and reflect it within the tree to create rich texture and color. Those gardeners in either rural or urban environments hoping to create an Asian garden would do well to strategically plant the Golden Bamboo to highlight other plants from Southeast and Central Asia. The Golden Bamboo has a moderately fast growth rate, though large variances exist based on planting procedures, location, watering schedules, and daily care. 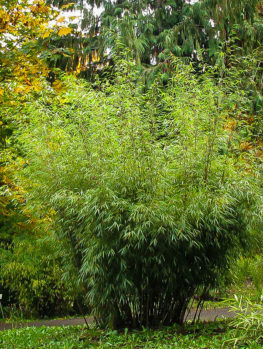 Generally, the Golden Bamboo adds between 2 and 3 feet of new growth a year, though some gardeners have had as little as 1-inch annual growth and as much as 5 feet! 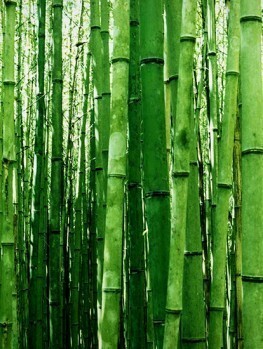 The mature Golden Bamboo can reach as much as 30 feet in height, and some gardeners have reported heights of 40 feet. 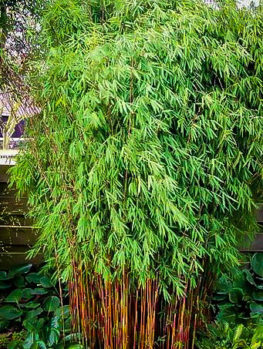 The root structure of the Golden Bamboo can be equally as vivacious, so it is best to plant your Bamboo away from foundations. Privacy screen hopefuls celebrate the Golden Bamboo, which elevates wind screen and privacy barrier plants to an entirely new level. You can generally expect 30 feet of manageable, dense, and beautiful growth from the Golden Bamboo. 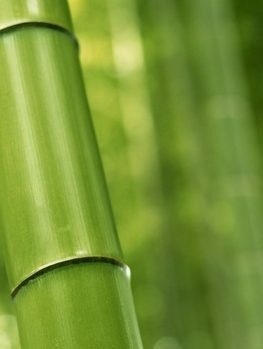 Plant a generous row of these Bamboo trees along the front of your house to create distance between your home and the main road, or plant these along the backyard perimeter. Many gardeners also choose to plant the Golden Bamboo in small, strategic amounts to create living garden walls. The Golden Bamboo is also frequently planted for its beauty. Honeycomb hues capture the sunlight and reflect it back under the dark green foliage to create a translucent glow that captivates the eye. Peek underneath the rich tooth-shaped leaves and vibrant golden stems will illuminate the scene. The Golden Bamboo’s height only increases the impressive color display. 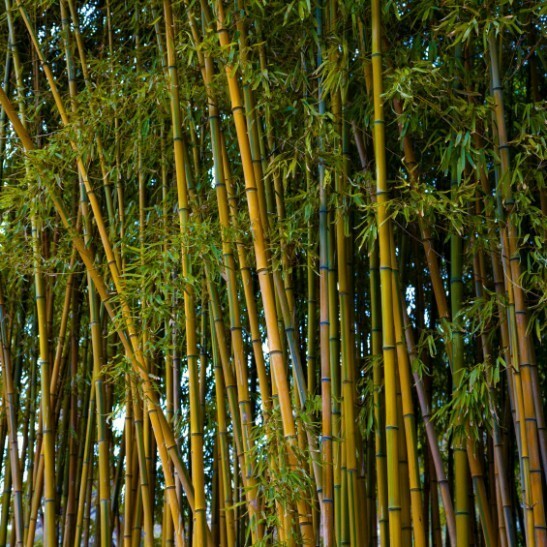 Plant a single Golden Bamboo anywhere in the yard where it will receive full sun or partial shade. The colors and textures of the Golden Bamboo help it accent other trees. The Golden Bamboo grows well in USDA Hardiness Zones 6-10. They prefer well-drained soil that is slightly acidic. 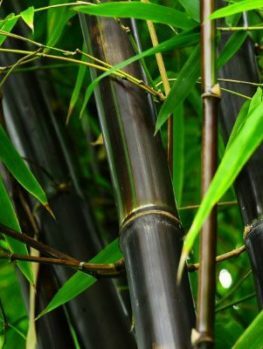 Consider having your soil tested to ensure proper growth for the Bamboo. The Golden Bamboo is also superbly tolerant of harsh or variant growing conditions. Drought-resistant and cold-hardy, the Golden Bamboo can grow as far north as New York and Massachusetts! Droughts in the southwest will also not bother the Golden Bamboo, so a wide range of gardeners can enjoy this manageable and hardy privacy plant! Once you have bought your Golden Bamboo from The Tree Center, the next step is to plant the tree properly. This is an exciting and invigorating plant to grow, but you do need to take caution in the planting location. Look for areas that receive full sun, though the Golden Bamboo can also propagate well in partial shade. Bamboo plants have vigorous rooting structures, which can often lead to propagation outside of the planting area. Invest in root barriers that will block the Golden Bamboo’s rhizome from spreading. 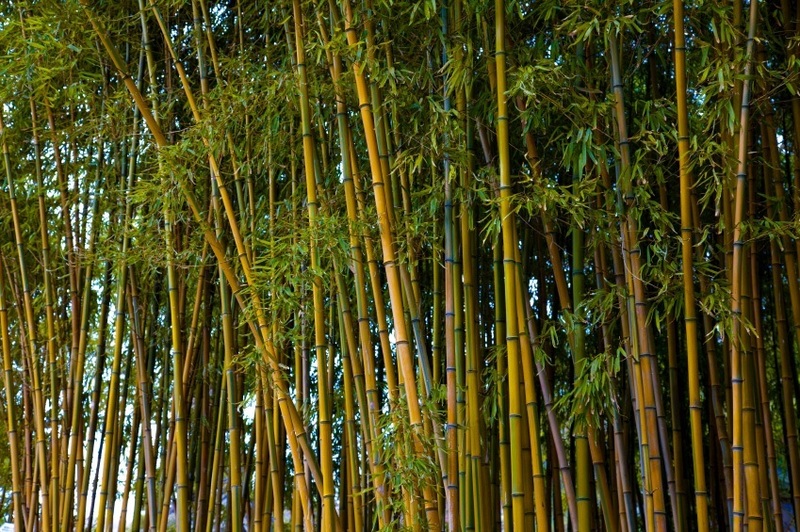 Avoid planting your Golden Bamboo too close to building structures, foundations, or power lines. The tree’s outstanding growth may impact the integrity of these infrastructure pieces. After you have identified the planting location, it is time to dig the hole. Dig a hole that is twice as wide as the root ball and only just as deep. When held in the hole, the Golden Bamboo’s root ball should extend out from the hole up to 1 inch. While holding the tree vertically in the hole, backfill with soil and water. If using mulch, add a 3-inch layer in a 3-foot radius around the sapling before watering. 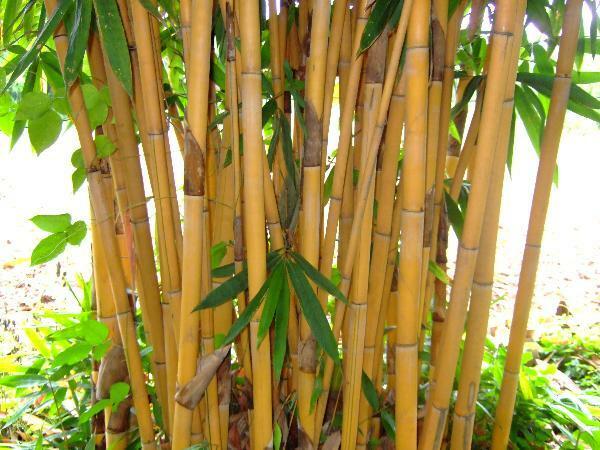 If you are planting the Golden Bamboo as a privacy screen, simply plant each specimen in holes between 5 and 6 feet apart, creating a row of Bamboo clumps. Warning! Not all Golden Bamboos are the same. Arborists seeking to cut costs and place the balance on you will take part in all sorts of cheap gardening tactics. Some of these nurseries choose to sell bare-rooted, branch cut saplings. Sometimes, they will even replace the Golden Bamboo with a poorer tree variety. 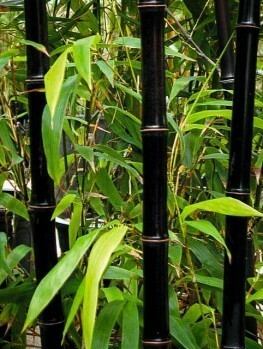 These will often lack the very qualities that make your Bamboo great! You can choose The Tree Center instead, where highly trained tree specialists give the best in quality care to your Golden Bamboo. This proper tender love and care initiated by The Tree Center during the important initial stages of growth will help to ensure the success of the Golden Bamboo later on in development. 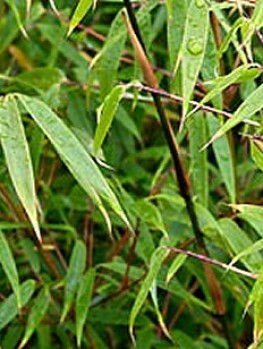 Check out our wide selection of Golden Bamboo saplings or consider other popular Bamboo varieties at The Tree Center. But act now! The Golden Bamboo is a popular variety, and our limited supplies will not last! Our stock is always changing, so order your Golden Bamboo from The Tree Center before it is no longer available. If you have questions about our Golden Bamboo or any of the other plants on our website, give us a call at 1-888-329-0140 and we’re happy to help!